Hand hygiene is the most cost-effective approach to preventing the transmission of infectious diseases in hospitals. While there has been much effort towards improving hand hygiene by healthcare workers, patients are seldom targeted. To this end, Dr Stephen Lane, working with Stargates Inc. a small business in Arlington, VA, US, and Johns Hopkins Hospital, of Baltimore, MD, US, has spearheaded efforts to improve patient hand hygiene using a novel approach involving voice reminders, called Hand Hygiene for Patients. Hospital surfaces are commonly contaminated with infectious organisms that can be cross-transmitted between healthcare workers, the environment and patients. Given that many patients also have compromised immunity due to their disease or treatment, they often acquire infections during their hospital stay. These infections, which can be fatal, are known as hospital-acquired infections. According to recent data from the US Center for Disease Control and Prevention, approximately 722,000 infections are acquired in US hospitals annually, resulting in 75,000 deaths and over $9.8 billion in healthcare costs. The problem is further exacerbated by the rise in drug-resistant bacteria, which pose a serious, growing and global concern to public health. More work is urgently needed to prevent these infections, protect sick patients and ultimately, save lives. One of the best approaches to prevent hospital-acquired infections and break the chain of bacterial transmission is hand hygiene; i.e., removing bacteria from the hands using soap and water or disinfectant. Currently, most research has been directed towards increasing hand hygiene in healthcare providers, such as doctors or nurses. However, efforts aimed at promoting hand hygiene by patients are rare. Nevertheless, patients’ hands – more than any other part of the body – are likely to contact environmental surfaces, dressings, healthcare workers’ hands and other patients in hospital facilities, all of which can be contaminated by bacteria. A 2016 study published by JAMA Internal Medicine showed that nearly one-quarter of patients had at least one multidrug-resistant strain of bacteria on their hands upon discharge from hospital and admission to a post-acute care facility. Alarmingly, 10% of those patients acquired one or more new multidrug-resistant strains during their stay at the post-acute care facility, suggesting that current measures are inadequate to address patient hand hygiene. These and other studies indicate that patient hand hygiene is a greatly underappreciated prevention method to decrease hospital-acquired infections. Interestingly, only a minority of studies have directly measured the hand hygiene rate of patients as an outcome. While measuring different health outcomes, such as infection rate, is clearly important, methods to directly measure hand hygiene are also crucial. Their unique approach, called Hand Hygiene for Patients (HHfP), specifically targets hospital patients using a novel computer-based system to both measure and increase hand hygiene, thereby ultimately reducing hospital-acquired infections. In general, there are four occasions when patient hand hygiene may reduce the risk of hospital-acquired infections – after toilet use, before eating and when entering and leaving their room. HHfP targets hand hygiene after toilet use, due to the possibility that faecal matter can contaminate the hands at that time. Data from the largest observational study of patient hand hygiene by Srigley and colleagues in 2014 found that following toilet use, men washed their hands about 23% of the time, women about 36% and that the combined average was 30%. Given these low hand hygiene rates, there is substantial room for improvement and an opportunity to decrease hospital-acquired infections by encouraging hand hygiene following toilet use. To determine hand hygiene compliance, HHfP uses simple electronic sensors without requiring patients to wear an identifying or tracking device. 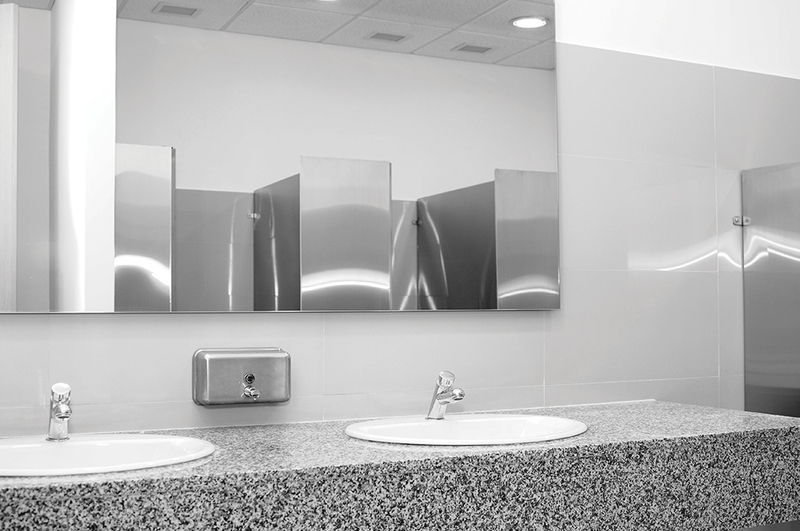 These sensors report lavatory door position (open or closed), toilet use and hand hygiene. The sensors pose no risk to patients. Their data are electronically transmitted to and recorded by a central computer, where they are integrated to determine hand hygiene after toilet use, using software that Dr Lane has developed over 20 years in the field. Once toilet use has been detected, HHfP waits to determine whether the patient voluntarily washes his or her hands. If they do, HHfP records that fact and takes no further action. However, if they do not wash, HHfP plays a voice message through a small loudspeaker in the patient’s room to remind them to wash their hands. These messages are motivational, inviting the patient to action, rather than admonishing. HHfP then waits to see if the patient washes his or her hands in response to the message and records their wash or its absence. To avoid monotony and hence patients ignoring the message, HHfP plays multiple different voice messages, thus avoiding patients hearing the same voice message twice during their stay. A sample message is: ‘Soap and sanitiser are here to make it easy for you to clean your hands. Will you?’ HHfP’s message texts can be easily modified, and an almost unlimited number of different messages can be played. To ensure their clarity, the messages are spoken by trained actors. To show that HHfP increased patient hand hygiene, Dr Lane and his colleagues completed a National Institutes of Health-sponsored Phase I trial at the Cardiovascular Progressive Care unit at Johns Hopkins Hospital, in Baltimore, MD, USA. The unit had 32 single patient rooms – each with a soap and a sanitiser dispenser in the room, and a soap dispenser in the lavatory. Since previous studies have shown that there are different rates of hand hygiene between males and females, they were studied separately. HHfP was installed in 12 patient rooms to collect data from patients enrolled in the study. Patients were either enrolled in the ‘Baseline group’ (with no voice reminders) or the ‘Intervention group’ (with HHfP voice reminders), but not in both. The number of toilet uses with and without hand hygiene was recorded for both patient groups to determine the effect of HHfP on patient hand hygiene. Only toilet use with the lavatory door closed was considered, in order to exclude healthcare workers emptying waste into the toilet, for example. Hand hygiene after message delivery was counted the same as voluntary hand hygiene. One of Dr Lane’s informal observations from his previous work is that voice messages are effective toward changing behaviour if the listener both a) knows that the message subject is important and relevant, and b) believes that he or she is not meeting the standard set in the message. HHfP’s Phase I results are consistent with those findings. He found that there was no change in the hand hygiene compliance of females following toilet use. Regardless of whether voice messages were played, their hand hygiene averaged about 55%, suggesting that they knew that hand hygiene is important – they washed a lot – but believed they already washed their hands enough and so they didn’t wash any more. Therefore, HHfP had a limited impact on women’s hand hygiene in Phase I. However, men notably increased their hand hygiene after toilet use with the door closed from 47% to 60% when voice messages played. This suggests that men also knew that hand hygiene following toilet use is important but were also aware that they did not wash their hands enough. As a result, men increased their hand hygiene compliance to the common value of about 55%. 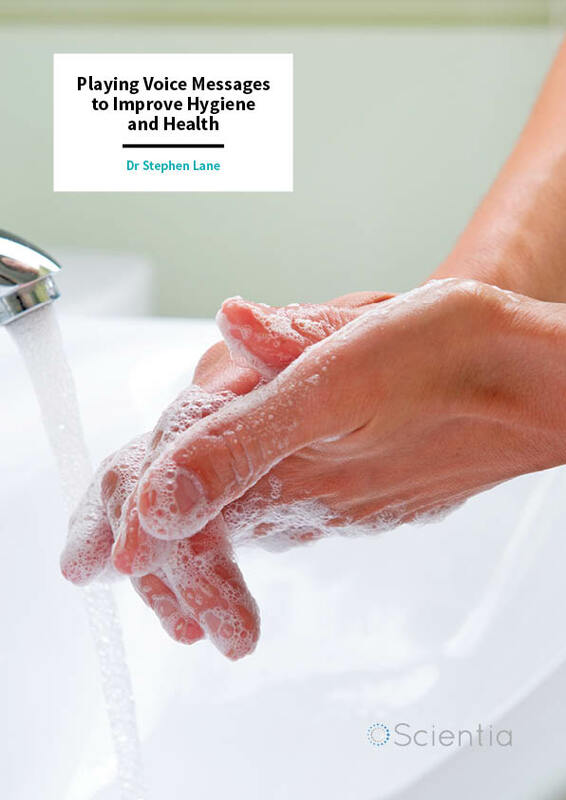 While Dr Lane has experienced some success in increasing hand hygiene by men, the data also show that voice messages alone will achieve only about 55% compliance – thus, there is still considerable scope for improvement in hand hygiene by hospital patients. Combining HHfP with education emphasising the need to wash after every toilet use may further improve hand hygiene in both men and women. Dr Lane, therefore, plans to include patient education to raise their hand hygiene standards in a future Phase II trial. Therefore, in Phase II, infection rates will be compared between the Baseline and Intervention groups to show that HHfP can significantly lower the number of infections acquired in hospitals. Phase II will include a number of hospital units from several different hospitals and a long-term facility. He explains that, ‘we expect to find that the increase in hand hygiene by patients due to HHfP’s voice messages leads to a significantly lower hospital-acquired infection rate, with consequent savings in money, and most importantly, in human lives.’ He is interested in collaborating with researchers in US hospitals to achieve that end. He also seeks a manufacturer and distributor of hospital products to help him commercialise Hand Hygiene for Patients after Phase II trials have shown its value. In summary, Dr Lane and his team have successfully used HHfP to target the patient population for hand hygiene – a group that has been previously overlooked as research has predominantly focused on hand hygiene by healthcare workers. Through harnessing the missed opportunity to focus on this population, Dr Lane and his team hope that HHfP can be a cost-effective and novel technology-based approach to further improve hand hygiene amongst hospital patients and consequently reduce hospital-acquired infections, decrease healthcare costs and ultimately save thousands of patients’ lives each year. 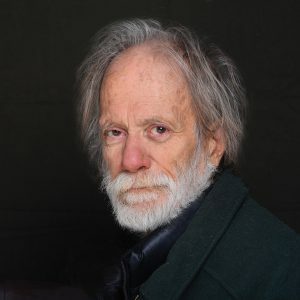 Dr Stephen Lane completed his PhD in Physics at the University of Maryland (US) in 1970. From 1970 to 1985, he worked with a number of companies on monitoring nuclear power plants for leaky cooling tubes, and processing seismic data to distinguish signals between nuclear explosions and earthquakes. In 1985, he became Vice President, Research and Development, of Amron Corporation (US) and began working in healthcare. He has been the Principal Investigator on a variety of health-related projects, including developing devices to infer potentially dangerous circumstances in the home of an elderly person, without the need for him or her to wear an identifying device or to push a button, and to summon help if needed; to deter an elderly or confused person’s dangerous attempt to leave their bed until help can arrive; to deliver voice messages to remind healthcare workers in a hospital to wash their hands after patient contact if they did not do so voluntarily; to encourage their use of alcohol based gel rather than soap and water; to remind them to wash with soap and water for at least 15 seconds if they failed to do so voluntarily; and to praise them when they performed hand hygiene. Currently, he is working with Stargates Inc., taking the lead to promote hand hygiene in hospital patients using hardware and software developed from his previous research. His work on promoting hand hygiene compliance has been published in peer-reviewed journals such as Critical Care Medicine and the American Journal of Infection Control. J Cao, L Min, B Lansing, B Foxman and L Mody, Multidrug-resistant organisms on patients’ hands: A missed opportunity, JAMA Internal Medicine, 2016, 176, 705–6. M Pokrywka, M Buraczewski, D Frank, H Dixon, J Ferrelli, K Shutt and M Yassin, Can improving patient hand hygiene impact Clostridium difficile infection events at an academic medical center? American Journal of Infection Control, 2017, 45, 959–63. JA Srigley, CD Furness and M Gardam, Measurement of patient hand hygiene in multiorgan transplant units using a novel technology: an observational study, Infection Control and Hospital Epidemiology, 2014, 35, 1336–41. E Zimlichman, D Henderson, O Tamir, C Franz, P Song, CK Yamin, C Keohane, CR Denham and DW Bates, Health care-associated infections: A meta-analysis of costs and financial impact on the US health care system, JAMA Internal Medicine, 2013, 173, 2039–46.